Making strategic thinking part of anyone’s DNA is a must. In today’s ultra-competitive business world, the difference between success and failure lies in the ability to expand the strategic leadership capability of both coaches and their clients. During this interactive session, you will have the opportunity to review a strategic thinking and decision-making approach that has been successfully adopted by thousands of leaders worldwide. Not only is this a methodology that you can teach your clients; you will also learn how to apply it to yourself, your team or your business. Help you identify ways to grow your own business. 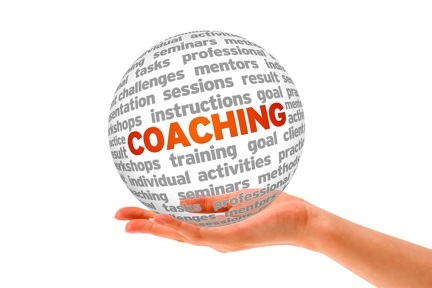 Pre-thinking Exercise: To get the most out of the session we ask that you prepare the following: Consider your own coaching practice or career and identify an organizational issue that you need to address. In no more than two sentences, clearly describe what you are trying to solve. Speaker & Format: Paul Butler, President, Global Edg, will lead us through an informative presentation with interactive activities and discussion. Join us to deepen your knowledge and expand your toolkit! Paul V. Butler - Paul is one of the world’s most accomplished and in-demand leadership coaches/advisors and facilitators. With a client list that is a who’s who, he can see how the world’s most effective managers lead. Leaders he works with have a fast, sure-fire way of assessing, questioning, and determining what is most important. He has been described as one of those rare people known for his dual capability in organizational excellence and strategic decision making. After a successful career in sales/marketing and HR with Pfizer and Procter & Gamble (Gillette) where he led large organizations, he founded GlobalEdg; a firm dedicated to providing value to organizations. He has helped thousands of employees in more than 50 different organizations since his firm was founded in 2006. There are over 3,000 alumni in his internationally known STAR (Strategic Thinking - Action - Results) program. His latest innovation is The General Management Institute, a member-only, next generation leader network. Paul is the co-author of Think to Win, Unleashing the Power of Strategic Thinking as well as many articles on strategic leadership. In addition to his blogs, he can also be heard interviewing some of the world’s most successful leaders on the Association of Talent Development Leadership Diary Podcast series. He works with multi-national organizations either in the C-Suite and/or in tandem with senior leadership teams. A sampling of clients include: Procter & Gamble, PepsiCo, Green Mountain-Keurig, Mead-Johnson, Pitney-Bowes, Blue Cross Blue Shield of Massachusetts, and Johnson and Johnson. Non-Profit work includes: The Sandy Hook Promise, CECP (the CEO force for Good), the YMCA, and National Leadership Roundtable on Church Management. Please RSVP by April 12 to reserve your spot.